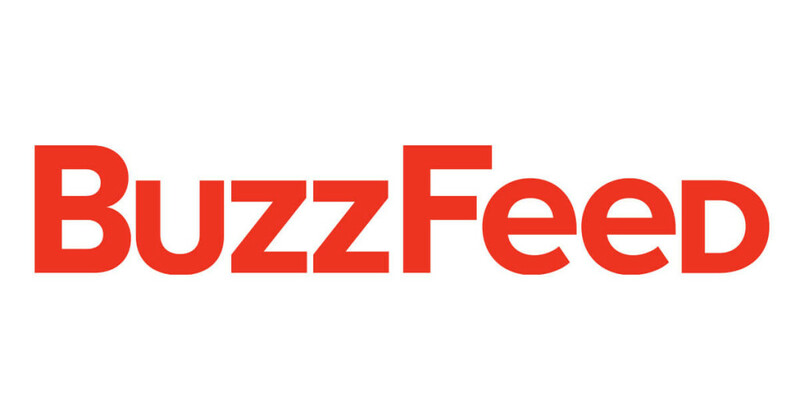 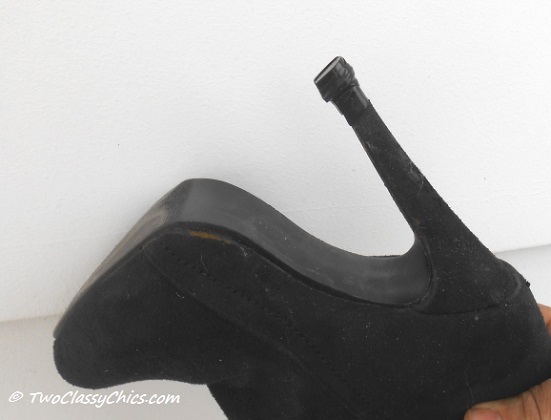 We were recently featured on BuzzFeed’s 23 Things That’ll Actually Make Wearing High Heels Bearable. 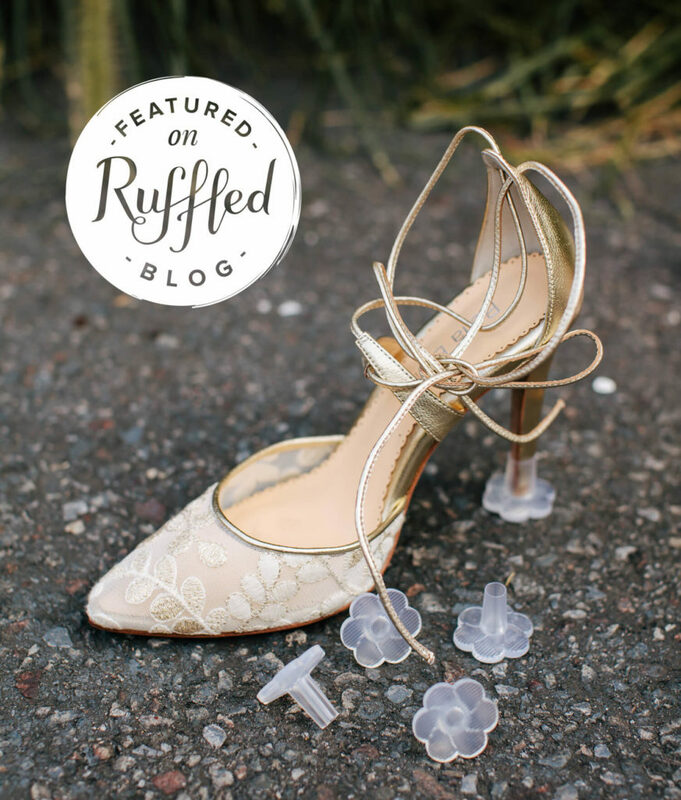 Check out all their suggestions, especially STOPPERS Heel Protectors at #17! 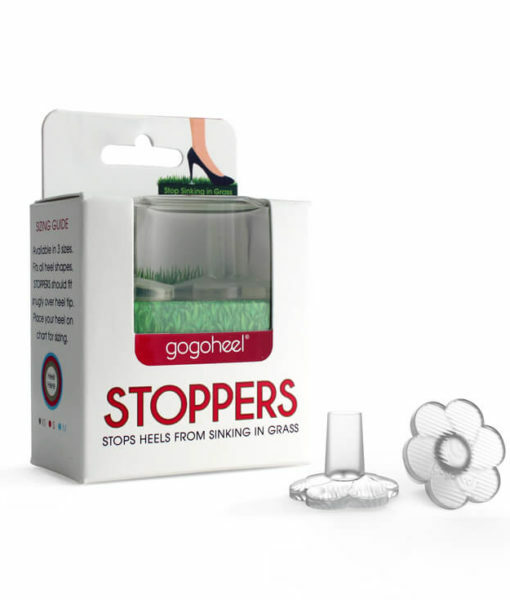 We’re thrilled that PureWow included GoGo Heel on their list of The 23 Things to Always Have in Your Desk! 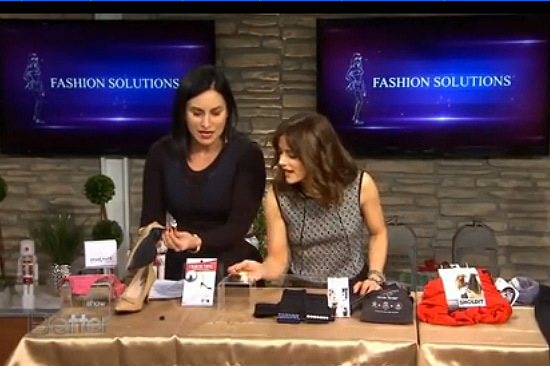 From a Tide Pen to a spare pair of heels, see which items your office should never be without. 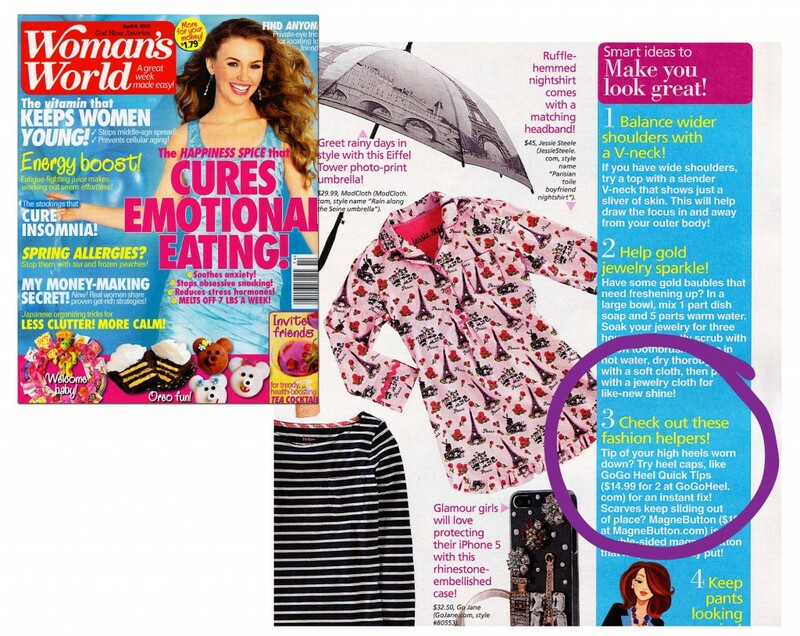 GoGo Heel QUICK TIPS® in Woman’s World Magazine! 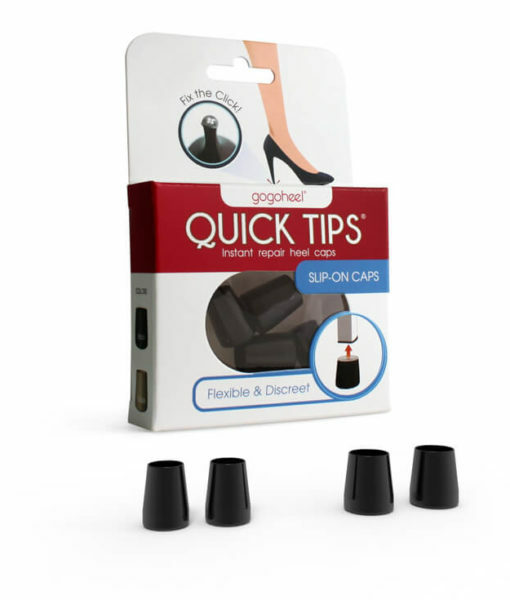 Woman’s World magazine features QUICK TIPS® Heel Caps in “Smart Ideas to Make You Look Great”! 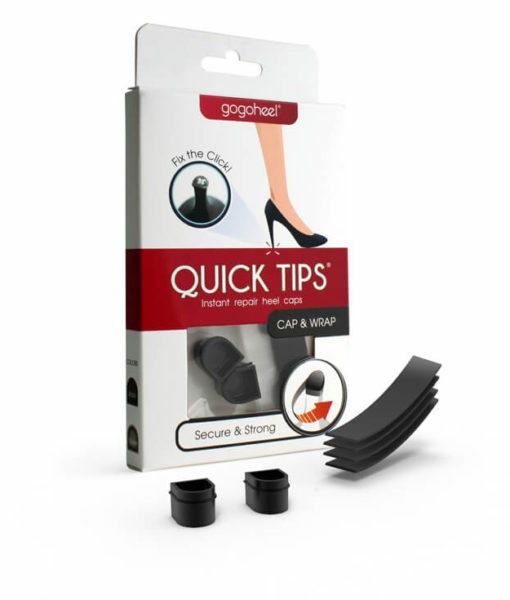 Editor-in-Chief of Corporate Fashionista Names QUICK TIPS® an Office Emergency Must-have!